Time to Talk Day takes place today, Thursday 7th February 2019 – a day when everyone is encouraged to have a conversation about mental health. This year, Time to Talk is all about bringing together the right ingredients to have a conversation about mental health. 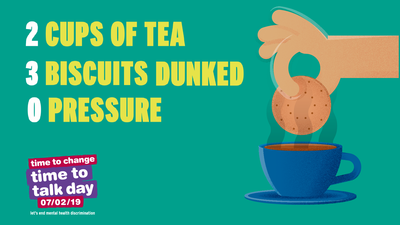 Whether it ‘s tea and biscuits with close friends or a room full of people challenging mental health stigma, we want you to get talking! Osborne will be sharing support information with its people on Time to Talk along with posters, tips cards and suggested activities to support Time to Talk on its sites.